A good name and favor…. Seriously, these are to be desired more than great wealth, financial security, solid retirement plan, stock options, the next big deal and on and on. How does someone achieve “a good name” and “favor” in their city? I wholeheartedly believe this has everything to do with honesty and integrity. Sure, what you do is important, but how you do it means everything. 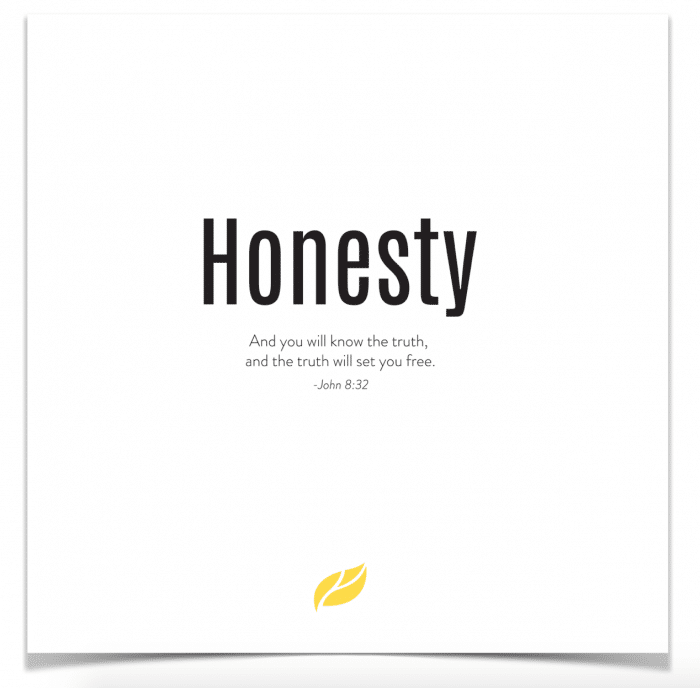 This week we are combining a couple of our values into one post because honesty and integrity go hand-in-hand. You can’t have one without the other. You don’t have to be a social psychologist to look around our culture today and see that most everyone is trying to gain a “step up” in their work and trying to do it right now. It’s like the long game has all but disappeared. Our need for instant gratification has seeped into the way we work. You know who I’ve been learning a lot from lately? Farmers. Farming is the epitome of the long game. They sow, they reap, but nothing is ever instant. They are patient students of the ground they cultivate and the crops they yield. They might not see a return on what they’re working on for years. But that’s their game. And it should be ours as well. Our tools of the trade to do the hard work we’re facing today need to be integrity and honesty. 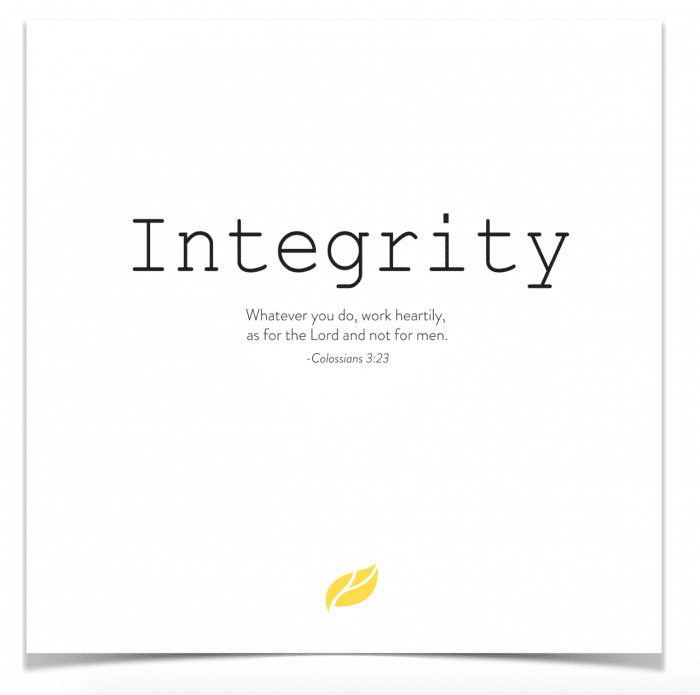 Consistent integrity in our work and honesty in our relationships will yield a harvest that a fly-by-the-seat-of-your-pants business deal never could. This is when a good name becomes better than riches – when you get used to the beautiful long game of business. Do something because it’s right, not because it’s lucrative. This is why integrity is the foundation for trust in every relationship. We need to know you will hold up your end of the deal in order to see it flourish. This is also why honesty is the glue holding our work ethic together. Like we’ve said before, we’re not trying to be them, and being honest about who we are and what we do will pay dividends in the future. We’re sure of it. This week, let’s strive to till the soil in our workplace, knowing that the return might not be seen for years. We might be gone before the fruit appears. Let’s throw off the desire to see fruit right away and be patient students, like the farmer, using honesty and integrity as our primary tools to see our work flourish.